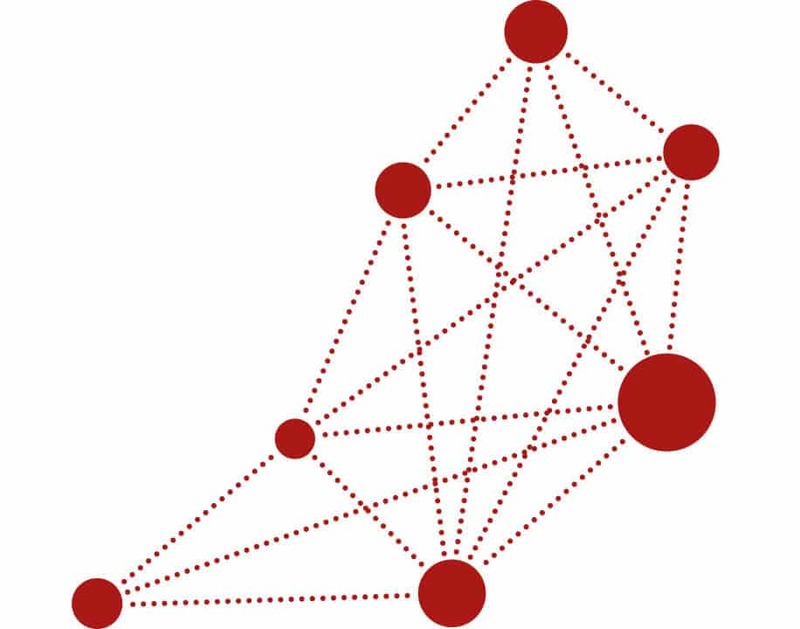 We constantly work on expanding our network of partners to provide better capabilities, innovative concepts, and geopgraphical reach. We constantly expand our network of partners and vendors. With our partner CRO CLINMARK, we created the ONE Clinical Trials Alliance to conduct full profile international clinical trials. Further, we work with selected partners to extend our portfolio of services, geographical reach, and technological capabilities. Phaon scientific GmbH is a study development group offering physicians a platform to discuss, promote, and perform scientific research in the field of oncology. Such is done through the development and ongoing supervision of clinical trials and the dissemination of their results. Phaon also promotes a complementary translational research structure. Palleos is working in a strategic alliance with Phaon by acting as a sponsor and contract research organization to professionally perform the research devised on the Phaon platform. Accessing the European health care market of more than 500 million people poses a challenge. One Clinical Trials Alliance serves as a platform for providing clinical trials internationally. We are a cooperation between two CROs, CLINMARK representing the eastern part of Europe and palleos the western part. CLINMARK is a leading Polish CRO which is based in Warsaw founded in 2001. They have more than 13 years of experience in the range of clinical trials. CLINMARK is a local CRO with special expertise in the field of clinical research in CEE and global clinical consulting. They are committed to provide support for pharmaceutical and biotechnological companies in the area of research and development through operational activities, professional auditing and education. Furthermore they provide consulting in quality management, study planning, execution and logistics. Together, CLINMARK and palleos form ONE. ONE conducts full profile, international projects in EU more effective than global CROs by optimal selection of countries, sites and validated partners from our vendors network to access the European health care market. Working together with reputable key opinion leaders (KOLs) in Germany has a far reaching impact on the quality of trials we are in charge of and the improvement of health care to a greater extent. The input of KOLs and their assistance to running trials is major to our high quality service. Prof. Dr. Kolberg-Liedtke serves as Scientific Director for Phaon scientific, a preferred partner in a strategic alliance with palleos healthcare. She is Executive Senior Physician at the department of gynecology at the Charité Berlin (Campus Mitte). 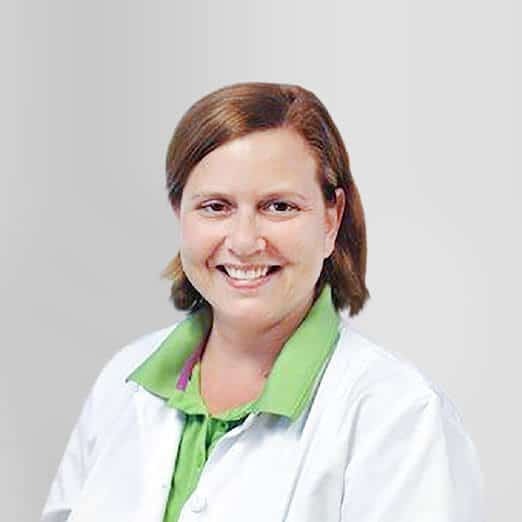 Being an experienced translational researcher with 10 years of clinical trial experience, she has in depth knowledge in the field of gynecology and a strong international research network. 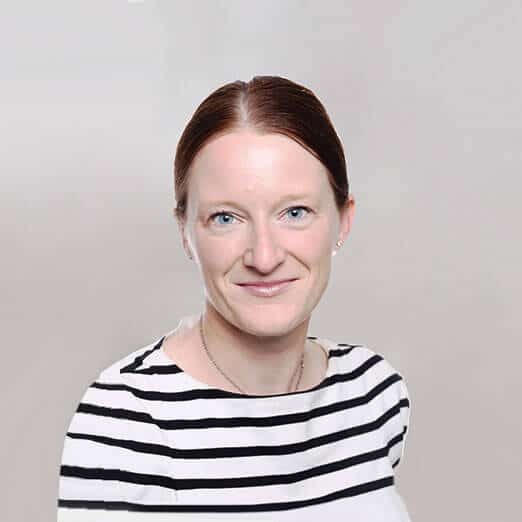 She is a member of the AGO (German Association of Gynecological Oncology) Breast Committee, where she is currently acting as the responsible coordinator for various areas in breast cancer treatment recommendations. Furthermore, she serves as Scientific Director for Phaon scientific, a preferred partner in a strategic alliance with palleos healthcare. Priv.-Doz. Dr. Kolberg serves as Medical Director for Phaon scientific, a preferred partner in a strategic alliance with palleos healthcare. 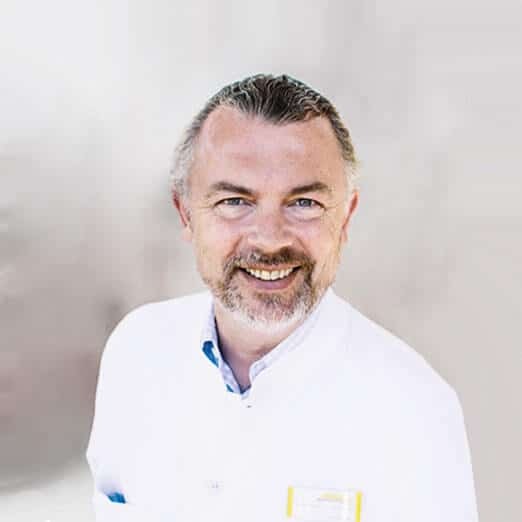 He is Chief Physician at the Department for Gynecology and Obstetrics at the Marienhospital in Bottrop since 2005. Serving as principal investigator in more than 40 clinical trials for over 15 years he has a broad experience in clinical research with a strong focus on gynecological oncology. Furthermore, he is the deputy speaker for the Network of Certified Breast Cancer Sites and serves as a visiting professor at the First School of Clinical Medicine in Nanjing. He is also the author of numerous scientific publications and involved in several scientific projects in the field of breast cancer research. Additionally, he serves as Medical Director for Phaon scientific, a preferred partner in a strategic alliance with palleos healthcare. Dr. med. Rachel Würstlein serves as a Medical Monitor for palleos. She is Executive Senior Physician of the breast centre at the University of Munich (LMU) since 2012. Her main research topics lie in prognostic and predictive factors in early and metastatic breast cancer, palliative care, implementation of health provision and health services research as well as translation research and a special interest in subgroups such as breast cancer in men or during pregnancy. She has served as PI for national and international clinical trials as well as IITs and holding memberships in various clinical associations and committees such as ASCO. 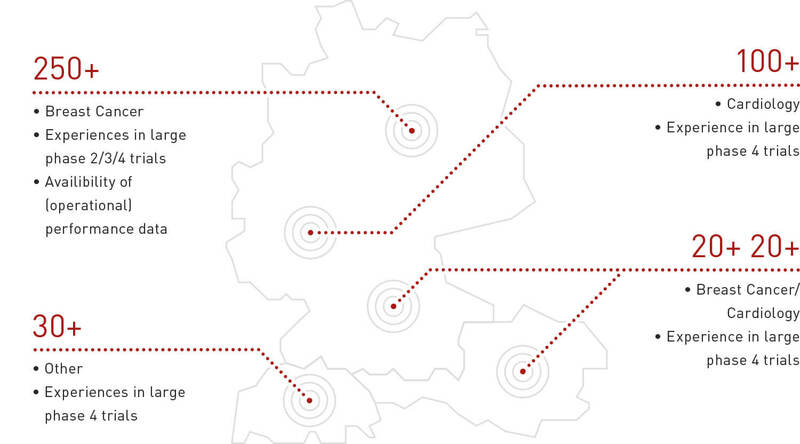 We offer a strong site network in Germany, Switzerland and Austria with headquarter in Wiesbaden. We collaborate with up to 90 sites for one study. This requires a good organization, clear and frequent communication and keeping track of all relevant study results recorded by the sites. In an increasingly complex world, it is necessary in certain areas to make use of the expertise of others in order to strengthen the quality of your own business. Together with our partners, we strive to provide you with advanced digital solutions designed to enhance, simplify and facilitate the execution of a clinical trial. Q-Finity was founded in 2004 with the vision to combine process management with the requirements of the Validation for computerized Systems and to offer this package using an integrated service portfolio. Q-Finity offers services in the areas of GxP trainings, consultings, and audits to pharmaceutical and medical device companies. They also support start-up companies as well as SMEs and global corporations throughout the entire product lifecycle. The CANKADO Platform is an established electronic patient reported outcome (ePRO) platform used in routine care as well as clinical trial settings. In the digital diary, developed especially for older people, patients document their daily health status, symptoms, medication intake and other therapy related parameters. From any Internet-enabled device (PC, tablet or smartphone) the data are transmitted via a server to the attending physician or care team. This is done in compliance with the strictest data protection guidelines. In addition, the patient can decide which information can be viewed by which physicians and can delete data himself. Through the possible data exchange, physicians receive important data in real time and can use them for preparation of the next patient visit. CLINMARK is a leading Polish CRO which is based in Warsaw and founded in 2001. They have more than 13 years of experience in the range of clinical trials. As a local CRO with special expertise in the field of clinical research in CEE and global clinical consulting, CLINMARK is committed to provide support for pharmaceutical and biotechnological companies in the area of research and development through operational activities, professional auditing and education.